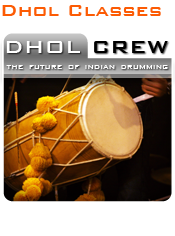 Dhol Crew are based in the midlands, UK. 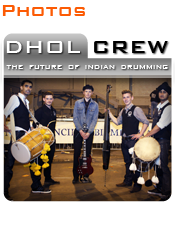 We perform at many high profile events around the country. 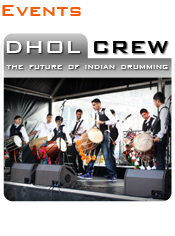 We play both traditional & contemporary music, bringing the roots of the Dhol drum into the 21st century with our own east meets west fusion. 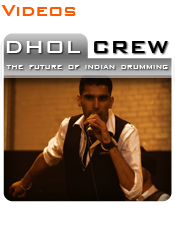 Sanjay Kumar (the founder of the Dhol Crew) teaches professional Dhol classes at our base in West Bromwich. Classes are ideal for anyone - all ages, male or female. Visit the classes' page or contact us for more information. To see us in action take a look at the gallery page, check out our videos or find out where we are playing next & come to support us at one of our live performances. You can book us to perform at your wedding , private functionor charity event! Beginners: 18:30pm till 19:30pm and Intermediate/Advanced: 19:30pm till 20:30pm.